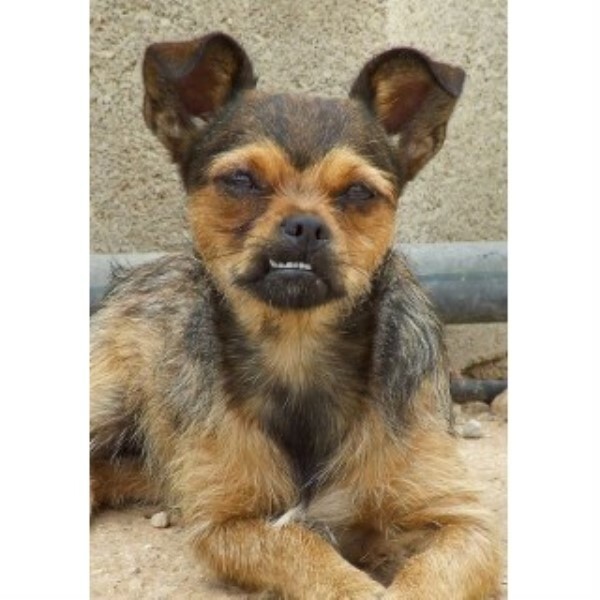 Fifi, 1 year old teeny tiny crossbreed girlie Fifi is a real teeny tiny cutie – weighing just 4/5 kilos! Fifi and her two brothers were rescued by a local man in February 2014 when they were just 8 weeks old. They had not had human contact and were so timid that he had to use a trap to catch them to bring them into rescue. Fifi was living at a very busy multi-dog shelter – she loved running around in the garden with the other dogs, playing chase and could hold her own with them, but she struggled with the human contact side of things. 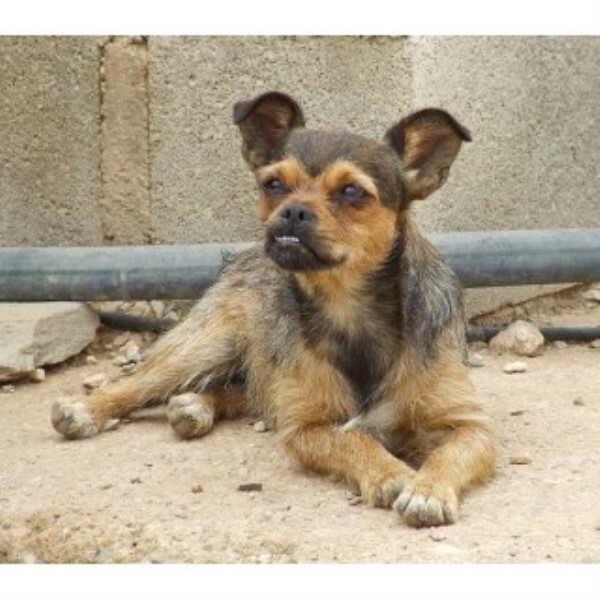 Fifi recently moved to a quiet foster home so that her trust with people can be developed further. 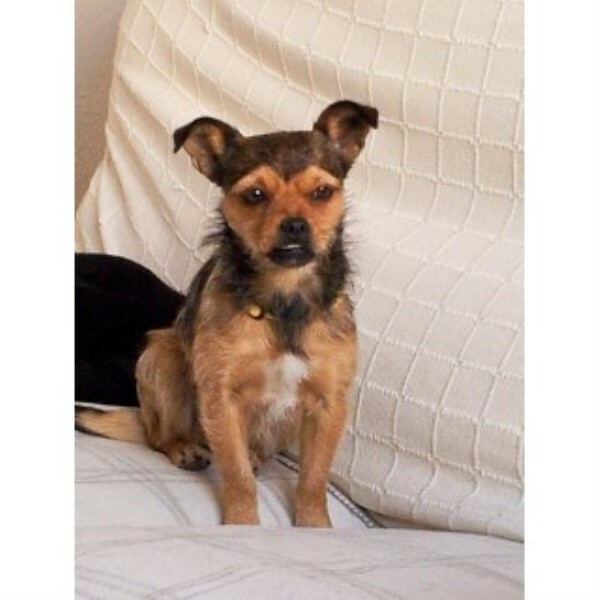 She is living with two other female dog companions, Molly & Bella. She loves to play and often tries to get one of the girls to join in. She also loves her walks and is particularly attached to Molly. She will sit by the front door when she knows it’s ‘walkies’ time and once out and about she will wag her tail for all it’s worth! 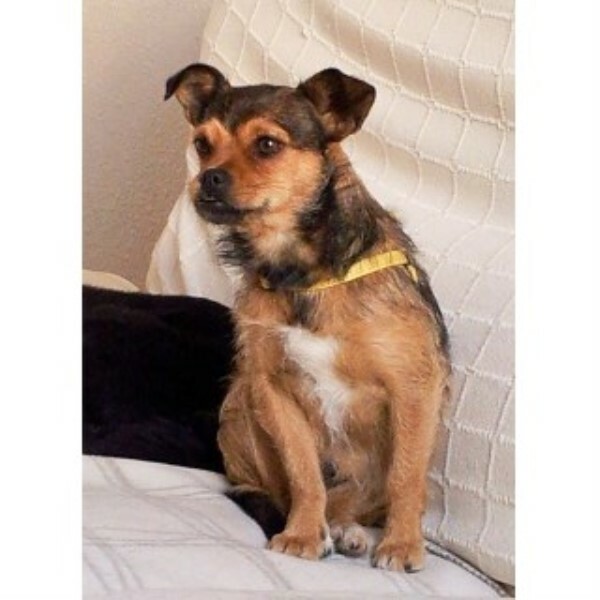 She is walked on an extender lead and has been off lead in very safe/rural areas, but she could be spooked and has bolted so her safety will be paramount when she is homed. A great deal of trust and confidence will need to be built before she can be an off lead dog, if at all. Fifi also loves her food which will help with her training and progression. She is particularly partial to a piece of toast at breakfast time! She is also to be found sitting nearby in the kitchen whenever there is cooking underway. We think she has quickly mastered the food routines! Fifi’s fosterers have started to take Fifi out in the car - she gets in and out and travels in the foot well. Her house-training is a work in progress and will need work. She has also started to venture onto the sofa to join her fosterer and doggie foster friends and will curl up next to Molly and rest her head on her. When her fosterers have retired to the bedroom Fifi loves to secretly run up and down the sofa too! Fifi has come a long way, but still has a long way to go before she completely relaxes and starts to enjoy life to the full. Fifi is extremely nervous of people and will need to go to a very caring, patient and loving home where she will be given time to find her feet and learn to trust. She is still extremely hand shy, shows no malice, but is just scared. We are looking for a home with a dog friend for Fifi to bond with and take the lead from. A companionship home i.e. no-full time workers please and a fully secured garden. 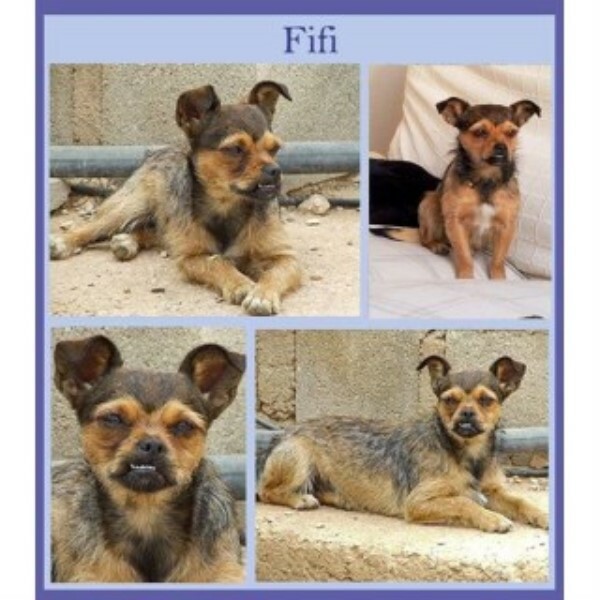 Fifi is vaccinated, micro-chipped & spayed. Do you think you are the special person/s Fifi needs to make her smile 24/7? If so, please contact Starfish Dog Rescue via email to: starfishdogrescue@hotmail.co.uk Please note that any potential home will be subject to home check.